I don’t know about you, but when I think of the JRPG genre, the Yakuza series isn’t one of the first that comes to mind. Before that are usually the many fantasy games with deep stories, combat and worlds that the genre is widely known for, such as Final Fantasy and Persona, so if you haven’t tried the Yakuza games, you may be surprised to hear that Yakuza shares more in common with them than you think. 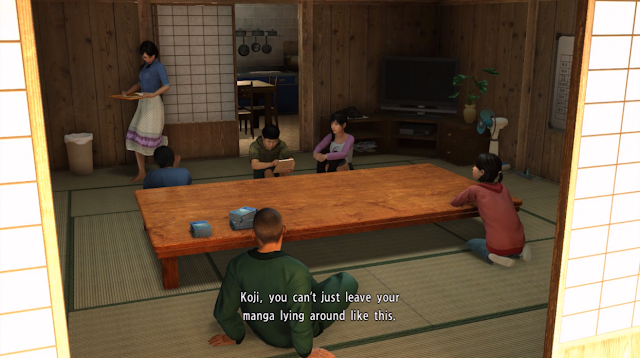 When I downloaded Yakuza 6’s demo and played its first few hours, I expected to be running around in an open world, running into fights along the way in a plot with a rough tone but what I didn’t expect was a moving emotional story that can rival some of the big current JRPG stories well. Combined with JRPG systems and a big world, Yakuza 6 is a JRPG that appealed to me way more than I would have expected and has completely drawn me in with its well-written introduction to its story. After watching others talk about Yakuza 6’s wacky mini-games, I decided to download Yakuza 6's demo to give it a go. For whatever reason I expected it to go like other RPGs set in a big city such as Grand Theft Auto - there would be story, but the main draw would be the city’s many different activities and there would be an action-packed opening to set the tone of an action-filled story. 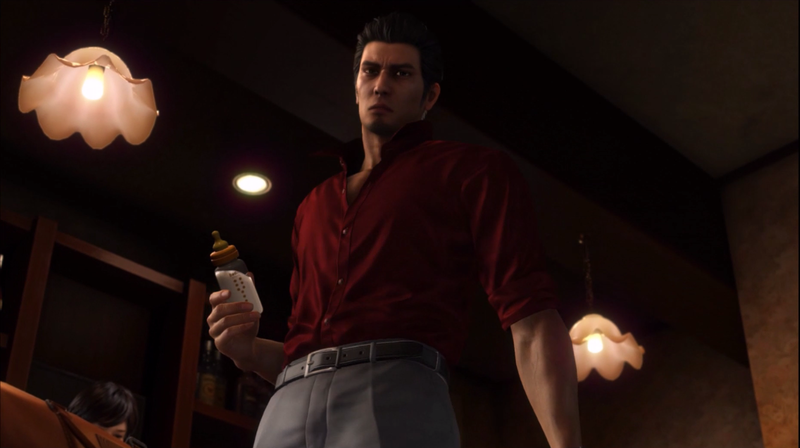 What I was met with in Yakuza 6’s opening differed in ways I hadn’t expected - it opens in a quiet bar where the peace is interrupted by a fight with a Hiroshima thug, mirroring my preconception of what Yazuka 6 was going to be, until protagonist Kiryu makes a quiet return to the bar, where the only powder he’s spilling on the counter is baby formula. It’s a small moment, but this moment instantly gave Yakuza 6 more depth from the get go and it only continued through its first few hours. This theme of showing an emotional side to its story continues as Yakuza 6 sets the stage for its story. We’re introduced to Haruka, an Idol that reveals on stage in a touching moment that Kiryu is like a father to her as she publicly quits her Idol duties and gives a glimpse into how revealing a member of the Yakuza being her family affects her public reputation and the reputation of those around her. Between these moments there are glimpses of the aftermath of a fight Kiryu has been in that eventually link with Haruka’s story, but the emotional moments stand out more and set the scene for what sums up my experience with Yakuza 6 so far - a mix of deep, emotive story with the action you’d expect from a game with the Yakuza title that both fulfills expectations as it also breaks them with its well-written story moments. For those looking for action and fun things to do, the Yakuza 6 demo I played also showed a glimpse into that. 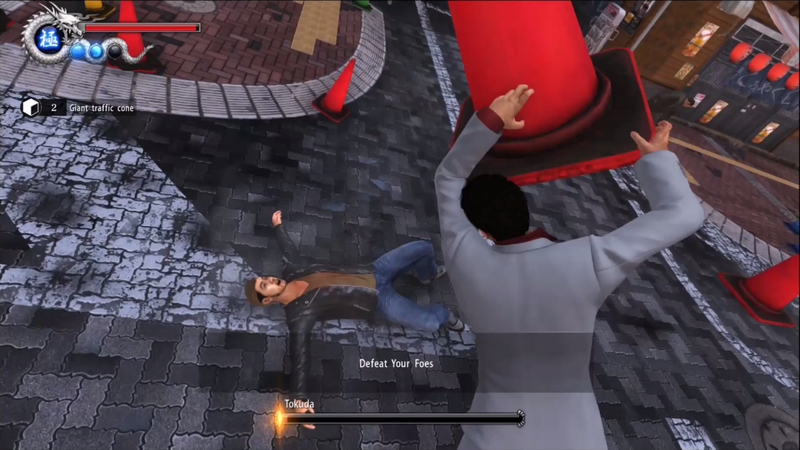 I was able to make Kiryu do karaoke, take pictures with random people on the street and get into random fights with thugs that was more of what I was actually expecting from Yakuza 6. But also being introduced to the group of orphans staying at the Morning Glory orphanage that Kiryu cares about and seeing the more emotional struggles of Haruka and Kiryu made me realise that there is also a story with just as much depth as its open world elements to explore and really made it appealing to me. In hindsight, it’s much more obvious to me that this kind of group would naturally make for a very fascinating story, but seeing this deep world for the first time has made it stand out to me as a JRPG I never thought would be for me. With depth, lots to do and character stories I want to see unfold, Yakuza 6 has been one of my true JRPG surprises of 2018. Its substance makes it go beyond being an action RPG into promising story territory and I still have so much to learn about it. It’s a game world I always wrote off in my mind as something I wouldn’t be interested in, but there’s definitely a lot in there for people like myself who love to find a good narrative in their JRPG worlds. Because of this, I made sure to pick up Yakuza 6 at launch and plan to explore Yakuza 6’s world much more and as I do, it isn’t just to make Kiryu randomly do karaoke; it’s to explore the world of Kiryu, Haruka and its other characters and where they’ll take the story in the big world they’re in and with a lot of promise shown in the first few hours shown in its free demo, I’m looking forward to seeing where the story will take me. You can pick up Yakuza 6: Song of Life on Amazon! Yakuza 6 also has a free demo on PSN (which is the reason I ended up buying it! ), so you can download that here! Will you play Yakuza 6? Are you playing it now? What did you think of its demo?